The laser was discovered more than 50 years ago. Since then, it has been revealed that lasers provide medical benefits. When used in such a manner, it is referred to as low-level laser therapy. 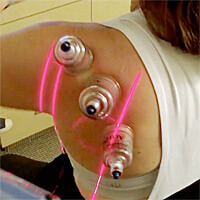 Laser therapy utilizes a low-powered laser light. It is used to create a biological response. No heat, vibration or sound is produced by the laser. Instead, it induces a reaction in your cell called biostimulation. The cell activity increases, which in turn can promote healing. Would you like to find out whether you can benefit from laser therapy? Contact Velocity Wellness Center today to schedule your first appointment.